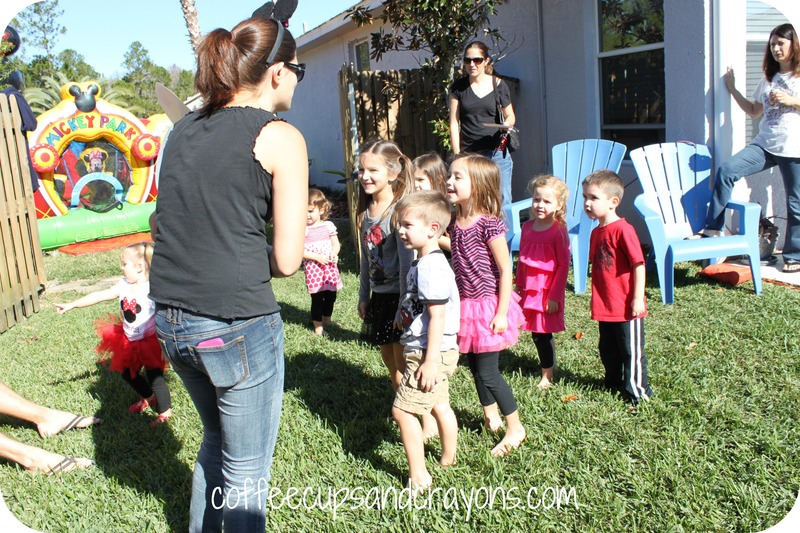 Instead of traditional party games at my 2 year old’s party we went on a Mickey Mouse Clubhouse adventure! 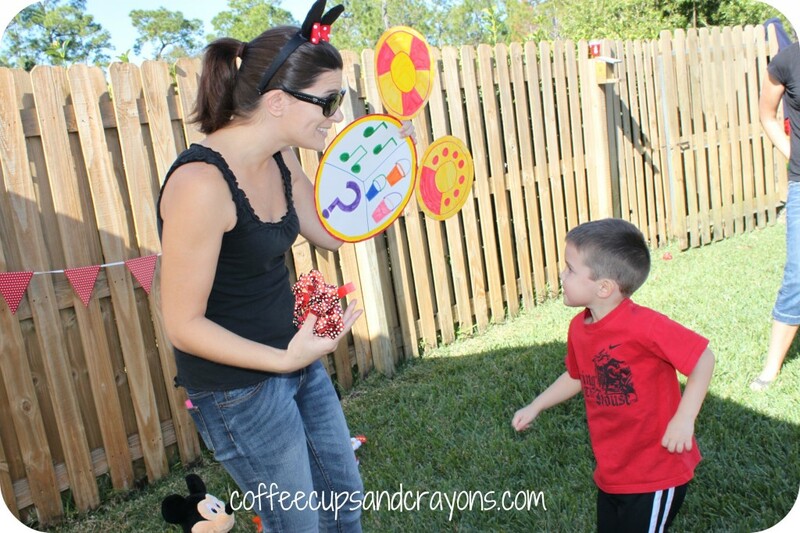 The kids had to help the Mickey Mouse Clubhouse friends get to The Birthday Dance Party. Unfortunately, there was trouble. So who did they ask for help? First, they had to get Mickey’s microphone away from the sleeping giant. Luckily, Toodles had a lullaby they could use to help him stay asleep. Then, they had to find Pluto’s dog collar that had fallen into his dog dish (otherwise known as a kiddie pool filled with ball pit balls.) This time they were able to use buckets from Toodles to scoop the dog food out to find the collar. Finally, they had to use the mystery mouse-ka-tool, the parachute, to fluff Minnie’s flattened bow. 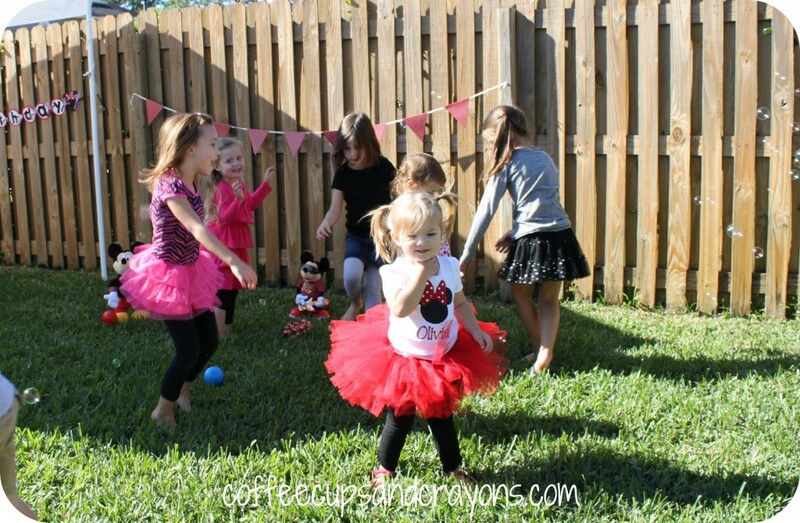 Then it was time for The Birthday Dance Party! They loved doing The Hot Dog Dance in the bubbles! 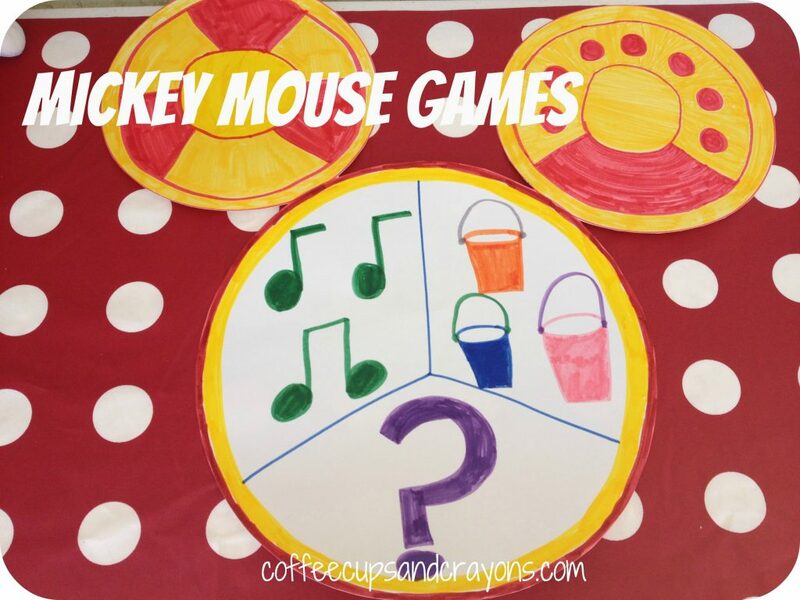 Mickey and Minnie Food and Dessert Ideas! Thank you! You’re so creative 🙂 I have been trying to think of a way to have a “hunt” incorporating Toodles and a story line. This falls under “why didn’t I think of that” hahaha…kids love to dance! 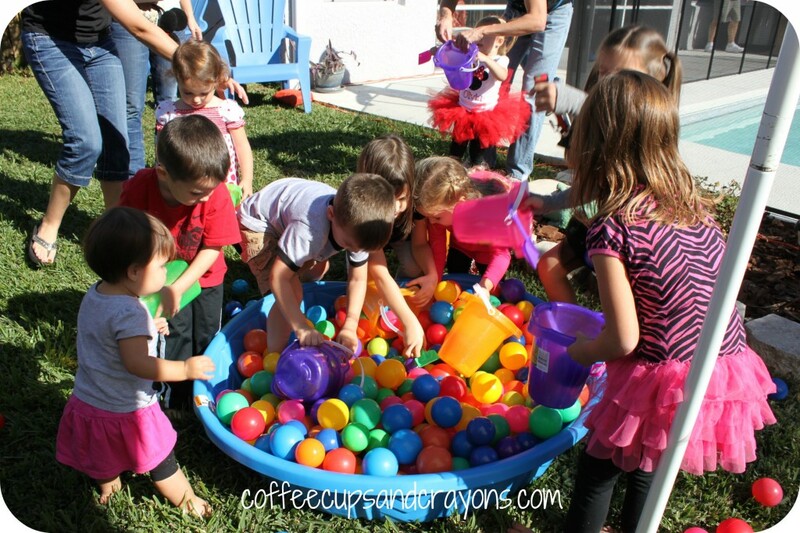 I’m super excited to do this for my son’s 1st birthday. Although I’m re-thinking the mystery mousketool and what else I could use. Any ideas? What about scavenger hunt clues? Do you mind sharing a bit of your story line? Also, what did you do for getting the microphone from the sleeping giant? Thanks! I just chose 3 random things I had around the house and made them into the Mous-ka-tools. To wake the sleeping giant they had to play him a lullabye. Then I said, “Oh no! Look Pluto’s dog collar (one of my dog’s collars) fell in his dog dish (pool with balls) and they had to dig through to find. It. Then they had to fluff Minnie’s bow and needed to use the Mystery Mouse-ka-tool do it. 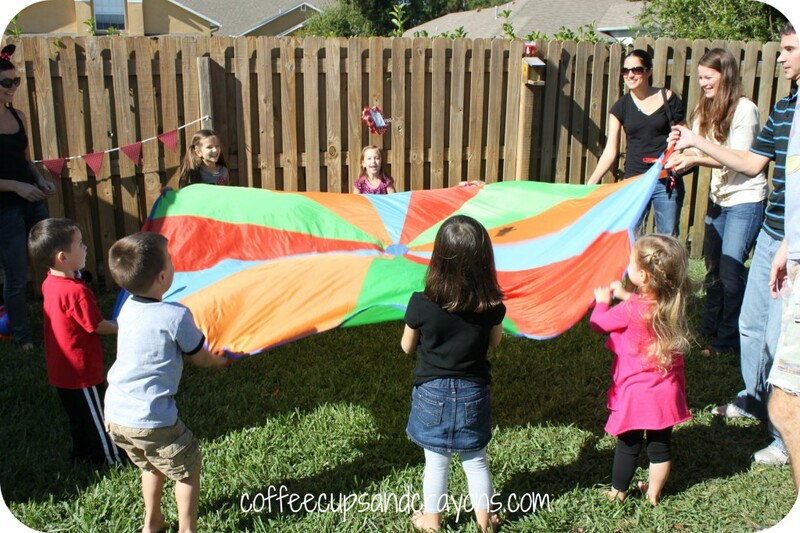 I pulled out our parachute and they fluffed it on the parachute. Have fun with your party!